WANT TO GET YOUR MOTORCYCLE LICENCE? Well, stop thinking about it and get started, talk to us about how you can obtain your Learners, or progress to your Stage II (P's / Restricted) Motorcycle Licence in the Northern Territory of Australia. But don't stop at just getting your licence talk to us about our Advanced Rider Training, because riding is a journey and learning never ends. We hope you can find everything you need. 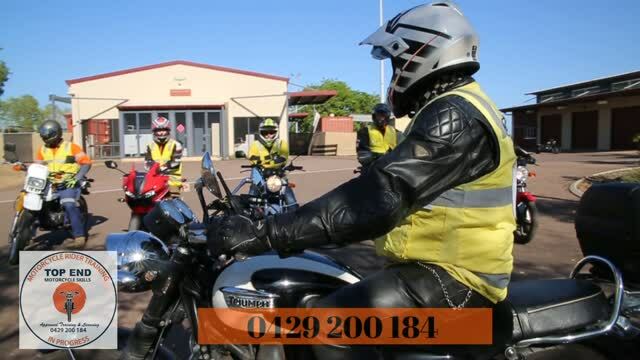 The TOP-END & RED CENTRE Motorcycle Skills Trainer are your "On Road Specialists" and are focused on providing high-quality service and customer satisfaction - we will do everything we can to meet your expectations. Specialising only in Road Riding and a variety of offerings to choose from, we're sure you'll be happy working with us. Look around our website and if you have any comments or questions, please feel free to contact us.